The Mach-Gaensslen Foundation is supporting research into community care for people at the end of life or with long-term conditions. 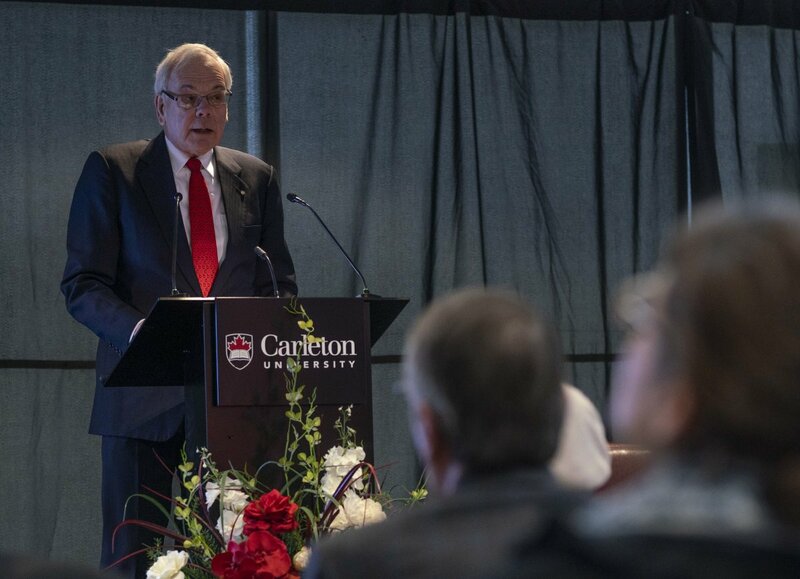 On 6 February 2019, it announced funding of more than $640,000 over three years for the Healthy End of Life Project (HELP) Ottawa at a project launch held at Carleton University. HELP Ottawa is a ground-breaking, community-based initiative to support people with advanced age, frailty, chronic and/or life-limiting illness to live at home or in the community as long as possible. 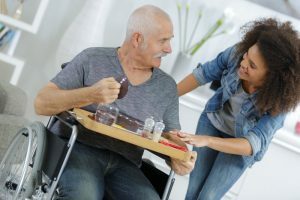 This innovative project will help local communities and neighbourhoods support people to live well, surrounded by family, friends, and social networks, as they approach the end of life. Mach-Gaensslen Foundation chair, Chris Carruthers, announces funding for HELP. More than 70 citizens and professionals concerned with end-of-life issues attended the launch. 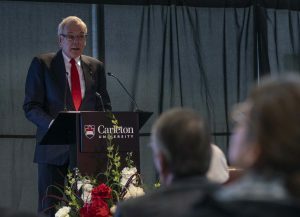 Principal investigator Dr. Pamela Grassau, who is with Carleton University’s School of Social Work, explained that the HELP approach was first developed in Australia, where it is now used in 20 cities. It is also being implemented in Europe. HELP Ottawa is the first such initiative in Canada. HELP Ottawa is made possible by a partnership among several organizations, through an agreement signed at the launch. 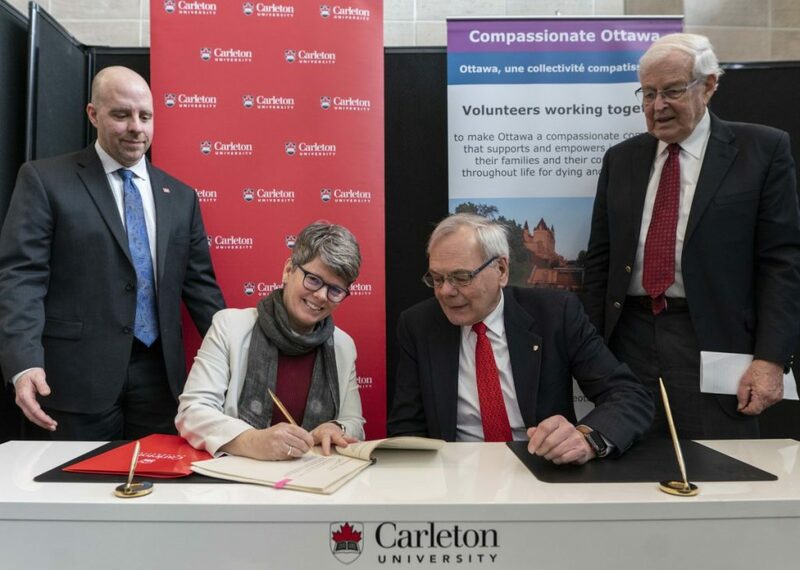 Left to right: Carleton University president, Dr. Benoit-Antoine Bacon; principal investigator, Dr. Pamela Grassau; Mach-Gaensslen Foundation chair, Dr. Christopher Carruthers; and chair of the board for Compassionate Ottawa, Dr. James Nininger. Dr. Grassau stressed that the project aims to shift the culture around palliative care and develop community networks. She and her team will work with centres in Ottawa to try different approaches to helping community members facing chronic or terminal illness. They plan to find the resources in the community that could help such people, as well as any gaps in resources that need to be filled. They will then work with the centres — two community health centres and two faith communities — to provide the assistance needed, and evaluate the approaches to learn what worked and what may still be needed. At a panel discussion, those with personal and professional experience with palliative care tell their stories. Left to right: Nadine Valk, Dr. Jill Rice, Nigel Van Loan, and Claudia Chowaniec. This issue touches many people who are facing illness or death – either their own or a loved one’s. 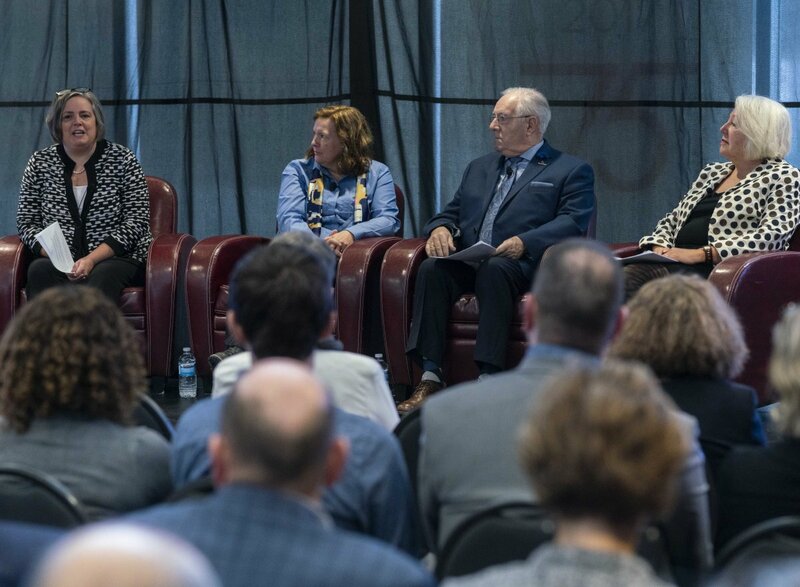 In a panel discussion at the launch, two people who had been caregivers to their dying spouses, Nigel Van Loan and Claudia Chowaniec, talked about the difficulties they faced. Chowaniec helped her husband die at home, but said she needed a “crash course” on providing care. She found that friends and family came through for her, providing the support she needed.